Super Girl style fancy dress costume from a Real Plus 18-40. This costume is made to order, please allow approx. 7 days for delivery. 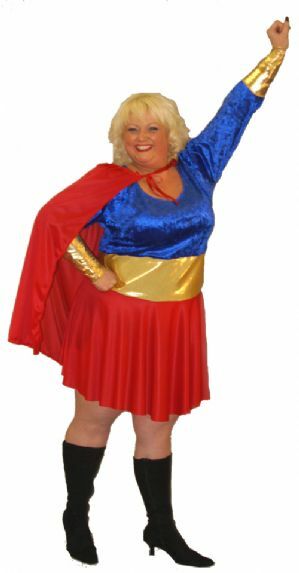 Super Girlie costume includes a super hero dress in red, blue and gold with matching short red cap and gold wristbands.